Sodium citrate is used in cosmetics and personal care products primarily to control the pH level, as well as for its preservative properties. Sodium citrate is the sodium salt of citric acid, a weak organic acid that is naturally found in both plants and animals, particularly in citrus fruits. In fact, citric acid is what gives citrus fruits their characteristic acidic taste. One example is lemon juice, which contains about 5 to 8 percent citric acid. Citric acid was first isolated in 1784 by the chemist Carl Wilhelm Scheele, who crystallized it from lemon juice. While citric acid can be extracted from citrus fruits, over 99% of the world’s citric acid output is produced by microbial fermentation. Industrial, large scale production of citric acid is accomplished via mycological fermentation of crude sugar stocks (i.e. molasses) by strains of Aspergillus niger. The citrate salts are produced by the same fermentation process, but are simply crystallized in the presence of appropriate alkaline solutions. For instance, sodium citrate is produced when citric acid is crystallized with sodium hydroxide. 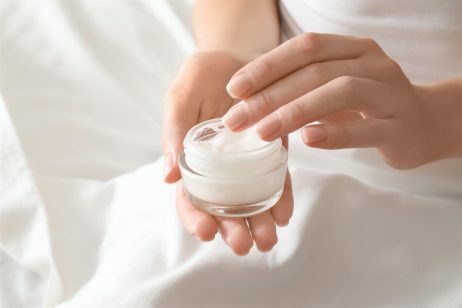 In cosmetics and personal care products, sodium citrate primarily functions as a buffering agent to control the pH level, but may also be used as a preservative. As a buffering agent, sodium citrate functions to establish and hold the pH of a product. In chemistry, pH stands for ‘potential hydrogen’ and it refers to the level of acidity or alkalinity in a given solution. The pH scale ranges from 0 to 14. A pH of 7 is neutral, while a pH less than 7 is acidic and a pH greater than 7 is basic (alkaline). Sodium citrate can buffer solutions in the pH range of about 3 to 6.2. The skin’s normal pH is slightly acidic, typically between 4 and 6. This acidity of the skin is termed the “acid mantle” and is maintained by sebaceous (oil) glands, sweat glands, and normal skin flora. The acid mantle provides a film of amino and lactic acids and oils that effectively protect skin from environmental factors (allergens, pollutants, bacteria, etc.) that contribute to conditions like sensitive skin, acne, and even signs of aging. There are many factors that can disrupt the delicate balance of the skin’s acid mantle, both internally and externally. According to SkinCareRx, our skin becomes more acidic as we age in response to our lifestyle and environment. Everything that comes in contact with our skin, such as cosmetic products, sun, water, pollution, etc., can contribute to the breakdown of the acid mantle. Ultimately, this interferes with the skin’s ability to protect itself. It is important to balance the pH of cosmetics and skin care products in order to maintain the skin’s normal pH as closely as possible. If a product is too acidic it may irritate the skin or cause a stinging sensation. However, if a product is too alkaline it will deplete your skin of vital, natural lipids. Skin that is too alkaline can be more susceptible to acne because a certain level of acidity is needed to inhibit bacterial growth. Additionally, a disrupted acid mantle can inhibit the absorption of topical skin care products. By using an ingredient like sodium citrate, cosmetic manufacturers can adjust the pH of their formulations, resulting in a product that is better tolerated by the skin. In addition to functioning as a buffering agent, sodium citrate is used as a preservative. The use of preservatives is necessary in most products to prevent degradation caused by microorganisms, and to protect the product from inadvertent contamination by the consumer during use. 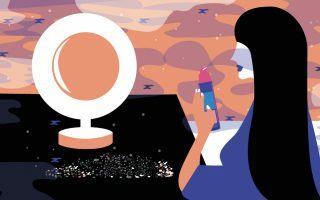 Microbial contamination of products, especially those used around the eyes and on the skin, can lead to problems like skin irritation and infection. Preservatives like sodium citrate help to prevent such problems. In 2014, the Cosmetic Ingredient Review (CIR) Expert Panel reviewed scientific literature and data on the safety of citric acid and its esters and salts (including sodium citrate). This data revealed that at concentrations used in cosmetics and personal care products, citric acid and its esters and salts were not eye irritants, nor did they cause skin irritation or allergic skin reactions. Thus, the Panel concluded that the available scientific data showed that citric acid and its esters and salts were safe under current conditions of use in cosmetics and personal care products. References: Wikipedia, “Sodium Citrate”, Cosmetic Ingredient Review, “Citric Acid, Inorganic Citrate Salts and Alkyl Citrate Esters As Used in Cosmetics “, 2011.